Modern-day pet owners, whether millennials or baby boomers, often have different needs and expectations. One thing they share is a desire for outstanding service. Don’t assume a millennial won’t want to talk to you by phone or in person and will favor online options. After years of consulting with dozens of veterinary practices nationwide, I’ve become very familiar with the threads that tie us together. No matter where we’re born, our political preferences, age or gender, we love and adore pets from the bottom of our hearts. This singular thread allows people from every place and imaginable background to come together in celebration of their pets. 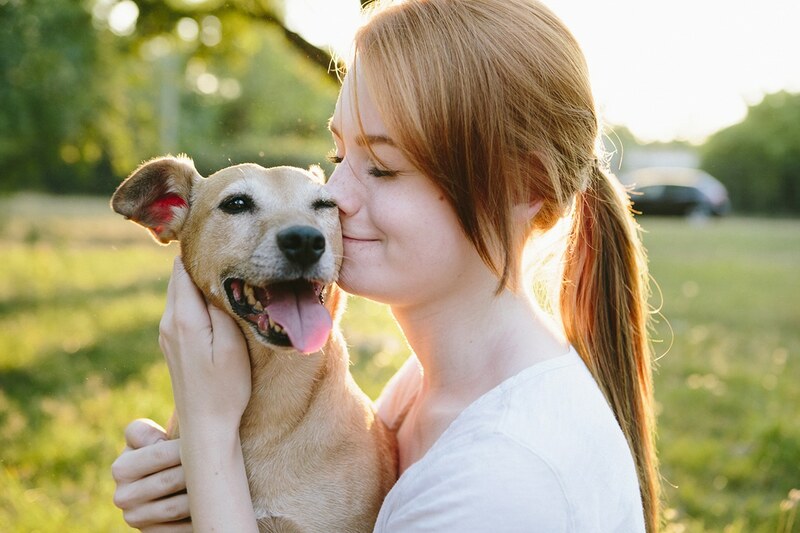 Pets bring joy to us, and our clients want a reliable veterinary practice to which they can bring their beloved furry friends in times of good health or uncertainty. However, huge generational shifts are occurring and are impacting the profession in profound ways. Two generations make up the majority of today’s pet owners: millennials (born between 1982 and 2002) and baby boomers (born between 1945 and 1964). Together they number more than 150 million people in the United States alone. The statistics show just how important the two demographics are when it comes to understanding the needs of modern-day pet owners. Here’s where the tricky part comes in: While these two demographics are the most likely to walk through the doors of your veterinary practice, they can differ tremendously in both expectations and needs. Everything from how they communicate and book appointments to their personal styles is influenced by their background and specific, generational upbringing. Think about it. What did American society look like in the ’50s and ’60s versus the ’80s and ’90s? We’ve seen incredible changes in our world, many having to do with technology and how we conduct everyday business. How do we honor both demographics and ensure that pet owners from each generation get what they need, each and every time they visit our practice? The answer is simpler than you might think: Customize your services and business to each pet owner you encounter. In my studies of pet owners I have learned that listening is the biggest competitive advantage you can gain when it comes to satisfying them. Listen to who they are and what they’re looking for and you’ll be better equipped to deliver outstanding services they remember, appreciate and, yes, even recommend to their friends. From these studies, I’ve learned about some of the biggest differences between millennials and baby boomers. Paying close attention to these differences will allow you to provide a more nuanced approach and better understand the backgrounds of both demographics. Baby boomers, on average, take a more traditional approach to doing business and are less likely to be fully integrated into the technological solutions that some of us are more accustomed to. This means that while they might use Siri to make phone calls and schedule appointments, there’s a chance they do not. Baby boomers also might be more accustomed to receiving hard-copy paperwork rather than digital documents and feel more comfortable receiving information while in the office or by phone than by text messaging, Skype, FaceTime or email. Millennials were more likely raised with modern technology like smartphones and mobile apps and thus experience less hesitation in using them. This means they are more likely to book veterinary appointments online or by app, or they might be comfortable with Skype-based appointments and phone consults instead of in-office visits when they have a question. They also might be more active in engaging with your practice’s social media accounts or using an app to manage their pet’s health. Of course, one approach is not necessarily better than the other. What’s important to note is that some of our basic assumptions, like the idea that everybody knows how to use an iPhone to book an appointment online, shouldn’t be asserted across demographics. Your only surefire way to satisfy pet owners at each end of the spectrum is to offer more choices and let them choose what’s best. For instance, booking appointments with your veterinary practice through an iPhone or Android app might be just what a 26-year-old new pet owner is looking for. The functionality might align perfectly with their preferences and everyday way of doing business. The same app, however, might not delight a 55-year-old dog owner who has filled out paperwork in person for the last 20 years. That said, the baby boomer might be eager to try a new approach. You never know. So, why not offer both options to both demographics and not make any assumptions? If you do that, you’re more likely to please both. Let’s look closer at a few approaches that can help your veterinary practice delight pet owners across every generation. Remember that even baby boomers and older demographics are adapting to digital. Don’t assume a baby boomer won’t want to use your app or be interested in your new tech-related features or rollouts. In the same vein, don’t assume a millennial won’t want to talk to you by phone or in person and will favor online options. If your next client is a baby boomer, consider spending extra time with her and seeing if she has questions. If your practice has an app, ask the client if she is interested in using it, but be prepared to provide tips to get her started. For both millennials and baby boomers, make sure your website (and app, if applicable) is clear, aesthetically balanced and not overwhelming. For pet owners of both generations, it’s important to emphasize all the information clearly and methodically. This might mean a clear explanation of how to request an online booking or prescription refill to make life a little easier for everyone. Try not to assume that millennial pet owners won’t want to chat about their pet in person. Even if they’ve booked an appointment online and are browsing their phone while in the waiting room, there’s a good chance they’ll have questions for you, and they’ll appreciate the gesture of an extra few moments with you after the appointment. Customize your approach. The best thing you can do is listen closely to the needs of each client and the pet. Each interaction is different, and you’d be surprised at the details you can pick up if you spend extra time listening to questions or concerns and providing tips to ensure a long-term approach to providing veterinary care for their pet. The demographics will shift as time goes on. 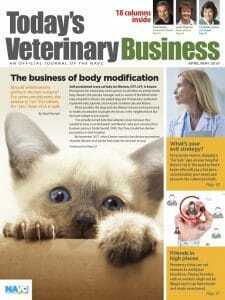 Younger generations will enter the spotlight as a larger proportion of pet owners, and they might prefer communication techniques or technologies that aren’t used today. Keep a close eye on emerging trends, but don’t forget to keep implementing proven techniques that work time and time again. A warm smile and a handshake have worked for centuries. These little gestures go a long way with baby boomers, millennials and anyone in between.